A former trainee asked me which TEFL books she should buy to improve her teaching. Naturally, I admonished her for not having bought my best-selling ebook A Short Guide to TEFL (shameless plug) but she promised me that she would and I dutifully went home and inspected my bookcase. Over the years, I’ve amassed about 150 TEFL books. Before you think I’m some sort of TEFL geek – that is if you don’t already – I must tell you that I had to buy about 30 books to do my DELTA Diploma and another 30 for my MA. The other point in my defence is that a week after beginning my MA, I walked past a charity shop in my home town and saw a table bending under the weight of a mountain of old TEFL tomes dating back to the 80s and 90s, a time when some of you weren’t even twinkles. Anyway, I bought the lot for about £5 and about 25% were really informative and the others were gainfully employed to prop up table legs, to help me reach a can of baked beans on the top shelf, or as a sleeping aid. So, in today’s post, I’d like to tell you about my 5 favourite TEFL books. At number 5, we have Teaching Unplugged by Scott Thornbury and Luke Meddings. As you may have guessed from previous posts, the whole Dogme / Unplugged approach really interests me and this book explains the methodology and has a collection of lesson ideas and activities for teaching who want to live in the moment in the classroom. Number 4 is Learning Teaching by Jim Scrivener. This is a guide for new teachers but old hands will learn lots too. 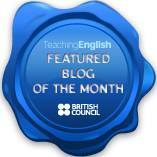 There’s some easy-to-digest methodology and a plethora of teaching ideas and and activities. This book really helps the reflective teacher who wants to develop their skills. My 3rd favourite TEFL book is written by our old friend Scott Thornbury, appearing for the second time on the list. An A-Z of ELT is perfect for those teachers who are bamboozled by all the jargon in TEFL teaching. The book consists of short entries for key topics and terms in ELT, just the thing to help you remember the difference between inductive or deductive learning or which order the different stages in the PPP model come in. At number 2, I finally, after much soul searching, decided to plump for 700 Classroom Activities by David Seymour and Maria Popova. I love this book because it gives you ideas for lessons based around grammar items or vocabulary topics. So, if you’re stumped and can’t think of an activity to get your students using the Past Continuous, you’ll find ideas in this book. Great for those days when you have to plan your class in five minutes. So, here’s what you’ve been waiting for. Wait for drum roll. I’m opening the envelope and about to announce the winner. Practical English Usage by Michael Swan. This book is – to quote the blurb on the back – the indispensable reference book on language problems in English for teachers and higher -level learners. Before buying this book, I used to wake up in a cold sweat because I had to teach the Past Perfect Continuous or indirect speech to a group of grammar obsessed Advanced level students. This book always saved my bacon. It’s easy to navigate and the grammar explanations are practical and pedagogically sound. Of all the books mentioned, this one helped me develop the confidence to teach some fairly complex linguistic items. So, what about you? 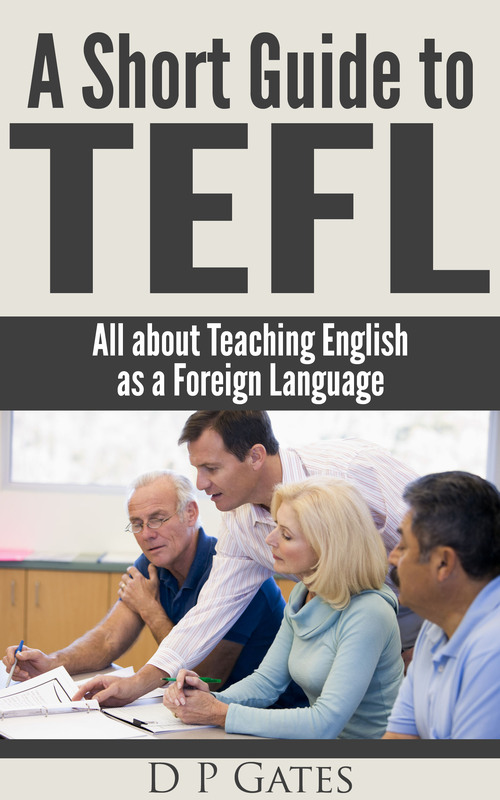 What books would you recommend for aspiring or practising TEFL teachers? Are you looking for a type of book but don’t know how to find it? Let me know.